The domestic digital commerce market is expected to clock a higher growth this calendar year on the back of better internet penetration, increase in trust level and pricing advantage, according to industry body IAMAI. “We are certainly hoping to post a higher growth this year over the last year on account of a host of factors, including a higher number of internet users in the county,” Internet & Mobile Association of India (IAMAI) Associate Vice President Nilotpal Chakravarti said here. He, however, refused to guess an estimate of growth. “We are still in the process of collating data,” he said. The association is in the process of finalizing its outlook report for 2014, which is expected to be released next month. Growing number of internet users, a more secure and convenient transaction system, coupled with lucrative offers and a 24×7 delivery system will drive the growth, he said. Last year, eCommerce grew by staggering 88% to reach $16 billion inside India, owning to booming e-retail sales trends and attractive offers doled by various startups. In 2009, the market was worth $2.5 billion, which increased to $6.3 billion by 2011. By 2023, it is estimated that the market would be worth $56 billion, or 6.5% of the Indian retail industry. 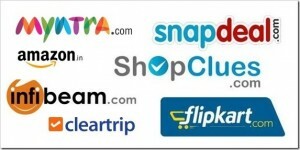 As per a research done by HR consultancy firm Randstad India, it has been found that hiring by eCommerce players will increase 20-30% in the next 2-3 years as a several new domestic ecommerce startups will enter the market, along with entry of big players such as Amazon which is increasingly trying to gain foothold in this emerging market. Additionally, there are several other MNCs active in this market which wants to establish back office and technical support in India. Another HR firm Unison International said that although hiring in eCommerce sector had been slow in the last couple of years, it will increase to more than 30% this year as various established brands in clothing and fashion sector will start online retail. Overall, 15,000 – 50,000 new jobs would be generated by Indian eCommerce in the next 3 years. What a neat artelci. I had no inkling.